Whether you are in the market for tire repair or replacement, our Certified Service experts can handle all of your tire needs. Use our Tire Finder Tool to start shopping for tires - simply enter your vehicle's year, make, model, and tire size. Not sure about your tire size? It's the combination of letters and numbers located on the side of your tire. Once you've selected the right set, schedule an appointment at Maxie Price Chevrolet Atlanta. when purchased with a GM or BuyPower Card®** OR $100 Mail-in Rebate* with any other form of payment. *See dealer or mycertifiedservicerebates.com for details and rebate form, which must be postmarked by 5/31/18. Allow 6 to 8 weeks for delivery of debit card. Offer valid 3/1/18-4/30/18. Credit approval required. Terms and conditions apply. New customers must apply via servicecardapply.com. Offer Expires 04-30-2019. Q. Why is tire rotation so important? A. Each tire on a vehicle performs a different task, causing them to wear at different rates. Regular tire rotation allows tires to wear evenly, maximizing tire life and allowing tires to be replaced in sets of four, which is preferable. Q. 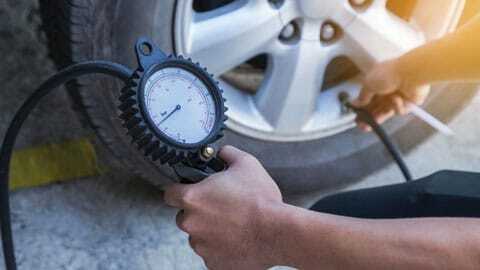 Why is tire pressure important? A. 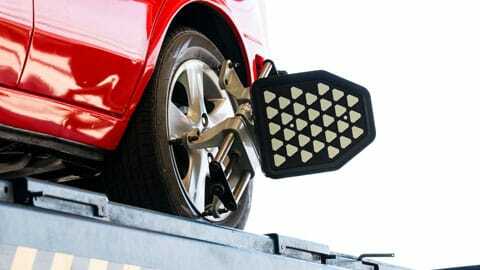 Improperly inflated tires are a leading cause of tire failure. Proper tire pressure helps a tire have optimum tread contact with the road, which improves traction and braking and reduces tire wear. Underinflated tires generate heat, which is the tire’s worst enemy, so maintaining the right amount of air keeps temperatures where they should be. Q. How will I know when I need new tires? 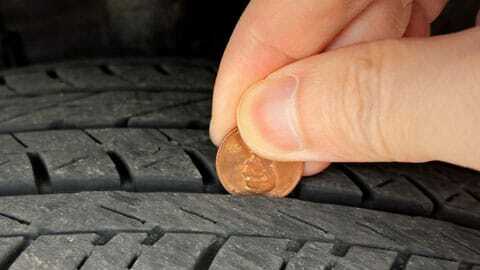 A. You’ll need new tires when the tread wear indicators—called wear bars—appear. These wear bars look like narrow strips of smooth rubber across the tread and appear when it’s time to replace your tires. If you can see three or more tread wear indicators, you should replace your tires. Other ways to know when to replace your tires include cord or fabric showing through the rubber, cracks or cuts in the tread or sidewall deep enough to show cord or fabric, bulges or splits in the tire, and punctures or damage that cannot be repaired correctly. Q. There are a lot of places that sell tires. I need new tires. Where should I go to get the right tires for my GM vehicle at the right price? A. Our Certified Service experts can recommend tires that are right for your vehicle, your driving habits, and your budget. You can start searching for new tires right now with our Tire Finder Tool above. It’s a quick and easy way to find tires for any vehicle. Once you’ve selected the right tires, you can schedule an appointment. We employ factory-trained technicians who use state-of-the-art technology and equipment to help keep your vehicle running like new.